Buyers got cold feet - once in a while that special house comes to the market, this is the one. 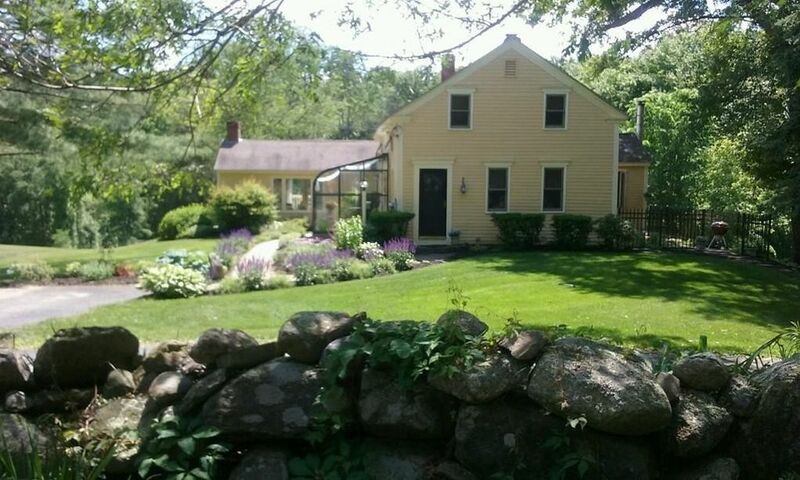 Absolutely charming, yellow Antique farmhouse on a country road with beautiful grounds and open space. Everything about this place says home this property has been tastefully updated without disrupting its style and it starts with gorgeous hardwood - wide pine floors that were just refinished. Open beamed ceiling in the kitchen with an atrium room that takes in all four seasons. At the back of the house there is a large living room with french doors and deck that overlooks the huge, private yard. There is an absolutely cozy den with wood stove and french door leading to another private patio. Upstairs there are two good sized bedrooms ( with room to bump out ) if needed. There is a first floor bedroom that currently is being used as an office. Basement is in tip top condition and the field-stone foundation has been sealed to prevent water seepage. There's two large doors to yard.